A Long Island teenager had a ticket to a Moody Blues concert, but his mother insisted he go instead to hear a college choir visiting from Minnesota. Eighteen years later, that young man, Anton Armstrong, became the conductor of that ensemble, the St. Olaf Choir - and as you can imagine, the details make quite a story. You can hear it from Dr. Armstrong himself in the clip below. I had a chance to interview him in advance of a concert this Sunday at 3 PM at Trinity Lutheran Church in Mason City, a part of the choir's 2019 Winter Tour. 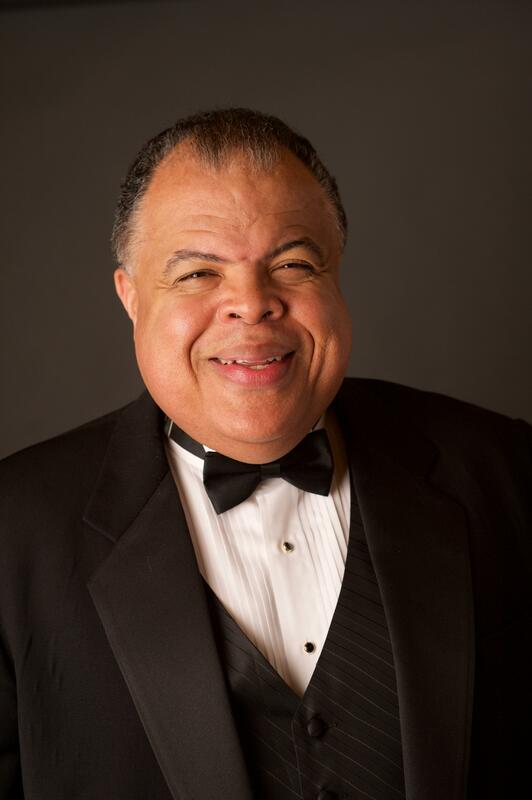 Dr. Armstrong is only the fourth conductor of the St. Olaf Choir since its founding in 1912, and is the first African-American to hold the post. He's been there since 1990, and his career has been illustrious in other respects as well. He's an international leader in choral music, and is in demand around the world as a conductor, teacher, and clinician. He has founded several important choral groups, and he is editing a new multicultural choral series. The St. Olaf Choir has been a central force in choral music nationally for a century, but its heritage can make us forget its innovations. Its founder, F. Melius Christiansen, focused on developing a cappella college groups that sang with the perfect blend and tonal richness of an orchestra; as Dr. Armstrong explained to me in a clip I'll air in the future, before then, the norm for colleges had been the glee club or the oratorio society. (Dr. Armstrong's 1987 doctoral dissertation was a definitive history of the choir up to then.) The St. Olaf Choir was also quick in exploring then-new media for reaching a wider public, notably radio. Dr. Armstrong's initiatives in diversifying the repertory and building bridges across cultures seem a perfect 21st-century continuation. As a recent dissertation by Alan Zibriskie puts it, "Under Anton Armstrong, the St. Olaf Choir expanded its repertoire and mission to include the global community." Dr. Anton Armstrong, conductor of the St. Olaf Choir and Tosdal Professor of Music at St. Olaf, speaking with IPR's Barney Sherman. A Choral Iowa post: Supermarkets began piping in holiday tunes in November, so you've probably heard all the standards just in the course of buying groceries. But below is a gem for which you need a choral group. Called Estampie Natalis, it reflects two of the enthusiasms of its Czech-born composer, Vaclav Nelhybel. HEAR: An Iowa choral original on an Igbo word; improvised saxophone optional but recommended! Igbo is the mother tongue of 24 million people in West Africa, and its word for "grace" is amara. A new choral classic by Grinnell's John Rommerein meditates on this word, with the singers accompanied by piano, and, if possible, by an improvised saxophone line. In this performance, the saxophonist is Dave Camwell, long of Simpson College and still a frequent performer in Iowa even after his move to Troy College.